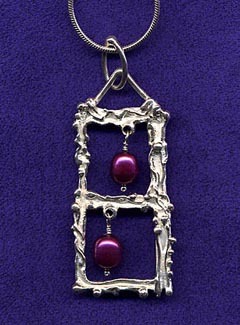 Two magenta pearls framed with subtle swirls of silver. Bright or black finish. 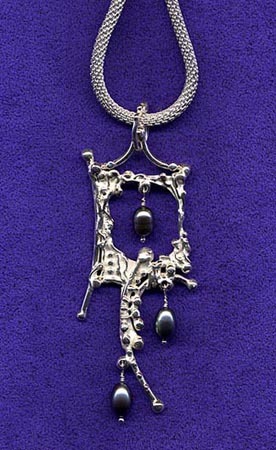 2 3/4" x 1 1/8" on an 18" silver snake chain. Each indivdually made, so expect some variation. 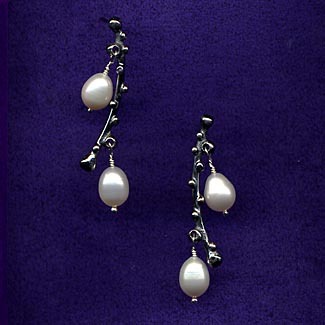 Two white pearls swing freely in a silver double frame. Bright or black finish. 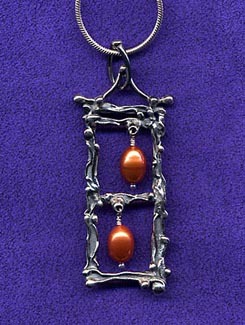 3" x 7/8" on an 18" silver snake chain. Each indivdually made, so expect some variation. 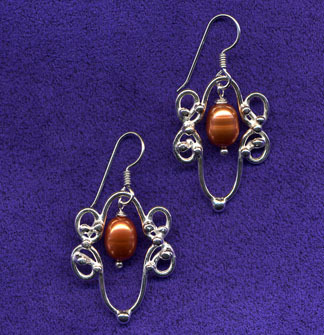 Two tangerine pearls glow from within a silver double frame. Bright or black finish. 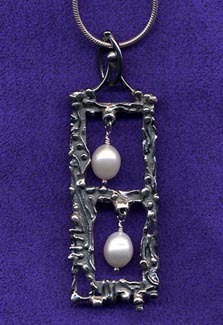 2 3/4" x 7/8" on an 18" silver snake chain. Each indivdually made, so expect some variation. 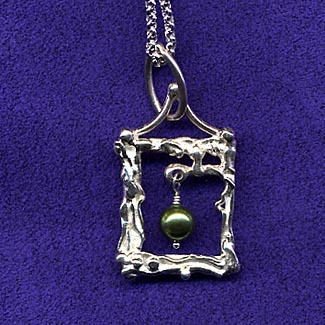 A single green pearl swings within a silver frame. Bright or black finish. 1 3/4 " x 7/8 " on an 18" silver rolo chain. Each indivdually made, so expect some variation. 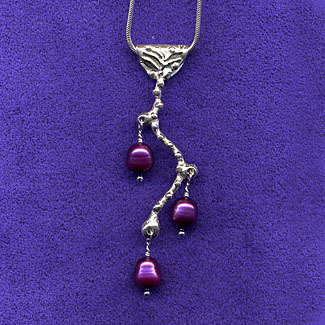 The perfect compliment to the Vine Pendant but striking on their own as well. 1 3/4" long. 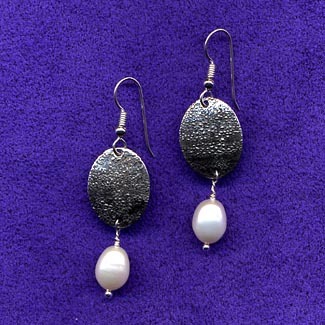 Available in a variety of colored pearls. Please email me for special orders.